Golf- Visit the Greatwood Golf Club website here for golf course rates and info, tournament info, or information for weddings, banquets or meetings. Salons/Spas/Barber Shops- Visit one of the many salons, spas or barber shops in the area to pamper yourself, or to get ready for that big date. Restaurants- Whether you’re seeking a casual or formal dining experience, whatever you’re looking for can be located close to the Greatwood Community. Brazos Bend State Park, approximately 28 miles southwest of Houston, covers roughly 5000 acres, with an eastern boundary of 3.2 miles fronting on the Brazos River on the southeast border of Fort Bend County. This was the area of Texas’ first Anglo colonization. It was purchased by the state in 1976-77 and was opened to the public in 1984. Visit the Brazos Bend State Park website by clicking here. A front row seat to the stars! 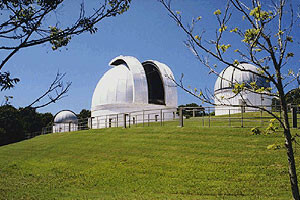 The George Observatory, located about an hour drive south of Houston, within scenic Brazos State Park, is a satellite facility of the Houston Museum of Natural Science. The Observatory houses three domed telescopes; a Challenger Learning Center for Space Science Education; a meteorite exhibit featuring fragments of several famous meteorites! Visit the George Observatory website by clicking here. Journey to a place and time where cattle and cotton are king, and Texas is a country all its own. The Park aims to educate people of all ages about Texas history and the region’s unique heritage, through programming that connects and inspires learners of all ages. Visit the George Ranch Historical Park and discover the treasure of Texas traditions. 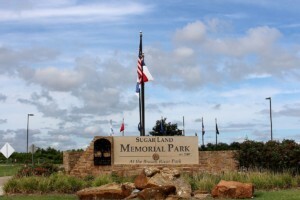 Visit the George Ranch Historical Park website by clicking here. The City of Sugar Land Parks & Recreation continues to provide opportunities for recreation, through high quality public spaces and parks. 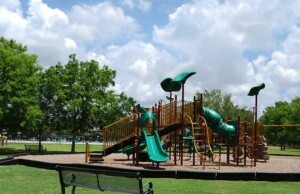 Visit the City of Sugar Land Parks & Recreation website by clicking here.